15 Things You Might Not Know About STAR TREK: THE MOTION PICTURE | Warped Factor - Words in the Key of Geek. 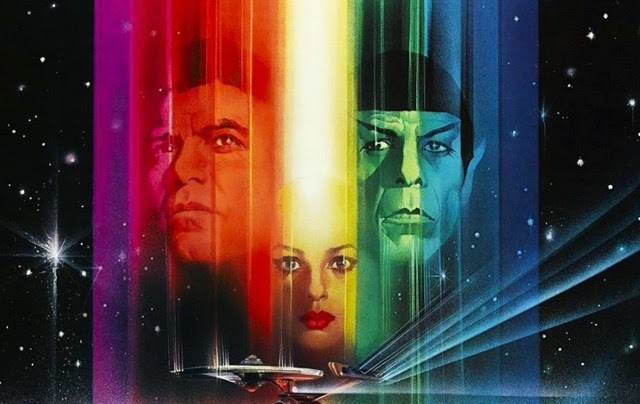 Well, for a man who swore he'd never return to the Starfleet... Geek Dave boldly searches out 15 things you might not know about Star Trek: The Motion Picture. 1. Star Trek: The Motion Picture was the phoenix which arose from the ashes of the aborted Star Trek Phase II TV series (something we've covered in depth here). The story from the movie was adapted from the proposed pilot episode of the TV series, with some extra padding. 2. Paramount set an original budget of $8 million for Star Trek: The Motion Picture, which really wasn't a bad figure. But Gene Roddenberry realised that audiences of 1979 would be expecting some very impressive effects, especially after seeing Star Wars and Close Encounters Of The Third Kind. Knowing how much these special effects would cost Roddenberry persuaded Paramount to dig deeper. With some initial hesitation they doubled the budget, but had Paramount known the final cost of the movie (which we'll get to later) it's quite possible they would've pulled the plug then and there. 3. After Robert Wise was hired as director, he immediately put shooting on hold while he had many of the sets and the uniforms redesigned (oh, those uniforms! 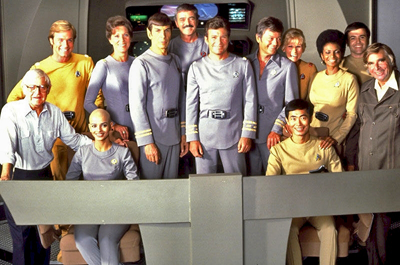 The cast hated them, they required assistance to be removed and, bonus fact, one of William Shatner's conditions for returning in any sequel was for the cast to have new uniforms). But the cast, who were still under contract for the Phase II TV series, were all still getting paid every week. Finally in late Summer of 1978, ten weeks after shooting should've begun, Paramount insisted that principal photography must start. Wise began filming, but initially he would only shoot in the daytime, for no more than 12 hours (in part as a delaying tactic whilst additional sets were built). This resulted in the production falling behind the new revised schedule after only two days. It never got better than that! Each and every week the shoot became more and more behind schedule, and the budget went higher and higher. 4. Uhura's communications earpieces are the only original props from Star Trek: TOS to appear in the movie, and that is only because once filming finally got underway a production assistant realised that someone had forgotten to make the new ones. Thankfully the originals were found in storage. 5. The original story was written by Alan Dean Foster, with the finalised screenplay credited to Harold Livingston. Livingston famously feuded with Gene Roddenberry and was unhappy that Roddenberry was doing re-writes on his script and sending them to the studio. After leaving the production for three months thanks to the fighting, Livingston returned and had a clause written into his contract stating that Roddenberry couldn't do any more work on the script than he already had - but not able to help himself, Roddenberry still did rewrites on the sly. In his book 'Movie Memories' William Shatner said at one point the cast were getting script revisions every two hours, alternating between Roddenberry and Livingston. Although Shatner readily admits that many of the rewrites came about because he and Leonard Nimoy were requesting them as they felt the new dialogue they were being given (daily) was not true to their respective characters. Shatner dubbed the whole process "Star Trek: The Emotional Picture". After two months of filming Livingston and Roddenberry still hadn't settled on what was going to happen in the third act. With the production massively over schedule Leonard Nimoy stepped in and began mediating between the two writers, spending alternate evenings with them after shooting and mapping out the closing scenes. Shatner recalls one scene which he, Nimoy and Robert Wise all wanted to include (in which the Enterprise crew starts to leave the bridge in order to show the Ilia probe it is acting like a little child) was rejected by Roddenberry, so Nimoy and Wise persuaded Livingstone to write it instead, and shot it on a day when Roddenberry was absent from set. 6. It was detailed in the script, but never mention in the film, that Willard Decker was actually the son of Commodore Matthew Decker from the 1967 TOS episode The Doomsday Machine. 7. After filming wrapped Robert Wise decided to check on the special effects. Up to that point he had not seen a single demo shot, which concerned him. Wise soon realised that the special effects house employed were really not up to the job, so John Dykstra and Douglas Trumbull were hired at the eleventh hour, and worked around the clock to get the job done. 8. By this point in time Star Trek: The Motion Picture was so over budget that Paramount executives were keeping a running daily tab on the production. The final figure came in in the region of $35 million. To put that into some context, Star Trek II: The Wrath of Khan cost $11 million, Star Trek III: The Search For Spock cost $17 million, Star Trek IV: The Voyage Home cost $25 million, and a whole decade later we still have Star Trek V: The Final Frontier coming in cheaper at $28 million. It wouldn't be until 1994 and Star Trek: Generations when a Trek movie would cost that much again. Paramount had trusted Gene Roddenberry with his beloved franchise, despite the fact that he had never produced a feature film. After the massive overspend on Star Trek: The Motion Picture they knew better than to let him be so hands on ever again. 9. And still the movie wasn't ready to screen! According to Robert Wise and Jon Povill (the associate producer), the version released on December 9th 1979 was essentially "a rough cut" which no-one had seen in its entirety before shipping to movie theaters. Wise later said that he completed the final edit just a day before the premiere, and had to personally take it with him to Washington. The reels were still wet when they were loaded onto the projector! 10. To make up for that "rough cut", in 2001 Robert Wise returned to Star Trek: The Motion Picture to complete his Director's Edition. He re-edited the film and presented it as he had originally intended, or at least how he had hoped he could've. Running 4 minutes longer than the original theatrical cut, it includes several redone special effects scenes which could not be finished in 1979 due to both time and the overspend. Where possible these scenes were recreated with the use of the original models. A new CGI "model" of the Enterprise was created, using the original physical model as reference, and a completely original model of V'Ger, as it appeared when the surrounding clouds had dissipated, was created based on the cross-sectional reading of the ship that appeared on a screen in the movie. 11. Mark Lenard plays the Klingon Captain in Star Trek: The Motion Picture. Making him the first actor to play three different alien species in the Star Trek franchise. Most famously he's known as Spock's father, Vulcan Ambassador Sarek, a character he played several times between 1967 and 1991, but before that he had portrayed a Romulan Commander in TOS 1966 episode Balance of Terror. 12. The Klingon words spoken by the Klingon captain were actually invented by actor James Doohan (Commander Scott). 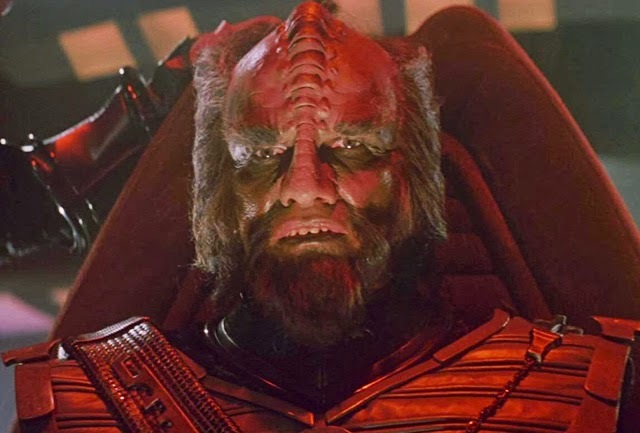 Although it was linguist Marc Okrand who later devised the grammar and syntax rules for the Klingon language (along with more vocabulary words in Star Trek III: The Search for Spock) and wrote a Klingon dictionary, he based all his work on those few Klingon lines devised by Doohan for this movie, meaning they even made sense retrospectively. James Doohan also devised the Vulcan words heard during the Kolinahr sequence. They were actually shot in English, but it was decided to change the dialogue into Vulcan. So Doohan wrote lines to fit the existing lip movements, with some of the subtitles rearranged to make this less obvious. 13. When Captain Kirk addresses the crew prior to launching, many of the people playing extras were not actors but rather noted Star Trek fans invited to the production. Amongst them was Bjo Trimble, co-organizer of the letter-writing campaign that kept the original Star Trek series alive for a third season. Although they were all paid for their participation, the majority of the checks were never cashed, presumably they were framed and sit in pride of place on a wall somewhere. 14. Star Trek: The Motion Picture holds a (depending on your choice of eatery) impressive accolade. After a national roll out of their Happy Meal in the Summer of 1979, McDonalds offered their first movie-promotional tie-in toy that Christmas. 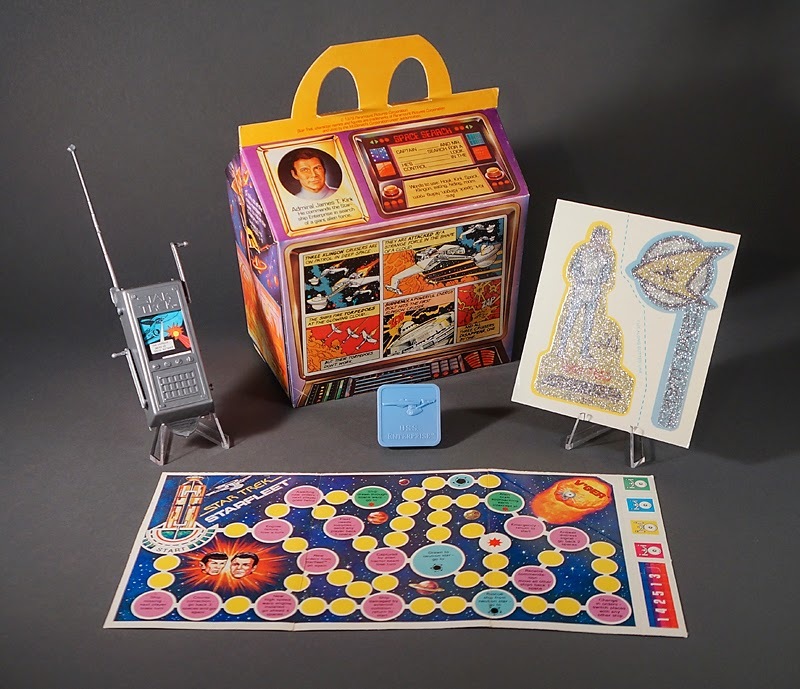 The first such promotion was the Star Trek meal, with the packaging consisting of various images and games related to the film, as well as a comic strip adaptation of the movie. 15. During production, whilst the movie's budget was going skyward, Paramount did a deal with the US television network ABC. They helped towards the financing of Star Trek: The Motion Picture in exchange for the first airing of the film. To get the most for their money, ABC added many additional scenes to pad out the three hour (with commercials) time slot. Amongst the 12 extra minutes of footage were scenes with Uhura defending Kirk's taking over command, the Ensign who beamed up before McCoy, the tear on Spock's cheek as he cried for his 'brother', and Kirk space walk scene with the studio rafters in the background and in a different spacesuit than in the final version!. This version was later released on VHS under the title of "Special Longer Version".